With an impressive view of Hua Hin Beach, the small, exclusive Dune Hua Hin Hotel features five modern and stylish rooms with very personalized service. The 4-star property has a great location on the main Hua Hin Beach, a very short drive to the town center. The rooms are lightly styled and fully- equipped with an entertainment unit that gives guests individually controlled music in both the room and swimming pool. Providing a beautiful view of Hua Hin Beach and the mountains, the fusion restaurant and cocktail bar are located on the rooftop and serve amazing Euro-Asian food. Guests highly recommend the parsley-crusted snow fish. For your next stay in Hua Hin, be sure to check out Dune Hua Hin Hotel. Short Description: With an impressive view of Hua Hin Beach, the small, exclusive Dune Hua Hin Hotel features five modern and stylish rooms with very personalized service. 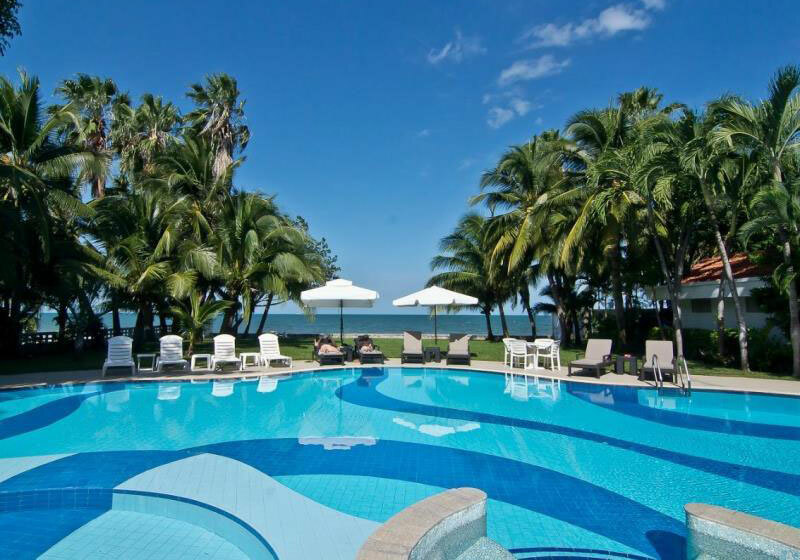 The 4-star property has a great location on the main Hua Hin Beach, a very short drive to the town center.